Want to succeed in life? Look to the world's most elite athletes.The lessons are absolutely life-changing. Olympic athletes from around the world come together every four years to impress us with their amazing talent. We're inspired by their performances, as well as their strength and grace. There's no question that these individuals are incredibly talented athletes. What's even better? When you take a closer look, you see far more than just athletic achievement. You see traits and characteristics that lead to success. You see perspectives, principles, and practices that deliver extraordinary results. If you want to learn how to achieve at your highest potential - in life or in business - look no further than the best-of-the-best athletes in the world. Their approach to world-class training and competition is impressive. It's also directly applicable to life achievement beyond athletics. What's the "gold medal" you'd like to earn in your life? Let the Olympians guide you to greater achievement. What lessons can we learn from Olympians, and apply in our own lives, to achieve and succeed at our highest potential? Most of us will never compete at a level rivaling the Olympics, at work or at play. That said, we can learn a lot from Olympic athletes about how to achieve success. Below are ten key lessons I came up with while watching, and being inspired by, this year's Olympians. I'll go out on a limb and say that applying these principles in our own daily lives almost guarantees achievement and success. Check them out, and let me know if you agree. It's virtually impossible to achieve and sustain greatness without trying. You have to pursue greatness. The trick is that you have to pursue greatness - with something great to offer. Know your unique talents. Be good at things that matter. But be GREAT at (at least) one thing. If you know your unique talents and strengths, and you strive for greatness, you're much more likely to succeed. Focus less on eliminating weakness. Greatness is achieved by maximizing strength. Choose to be great, vs. good enough. Nothing is more important in life than being clear about what you want. If you aren't clear, you can't be committed. It's that simple. Invest time in having total clarity of direction. You don't need a fully detailed life plan; sometimes that's too hard to comprehend. You just need to move clearly in the direction of your one next step. 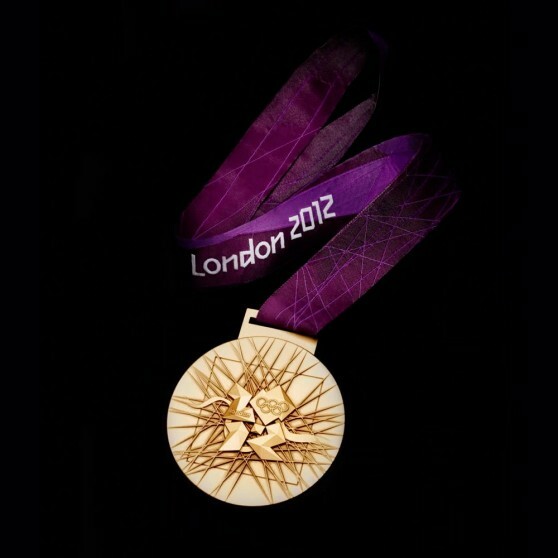 That may be Olympic gold or it may be a promotion at work. Be crystal clear on what you want at any given point in time. You have an even bigger advantage if you find clarity early on, and stay the course. If you want to achieve great things in your life or your work, you need to prepare with purpose. Nothing guarantees mediocrity more than passive effort. Push yourself to move beyond the comfort zone. Prepare for the win. Identify potential setbacks and have plans to overcome them. Show dedication and commitment. Overcome the odds if they're stacked against you. You may have to be smarter or more creative than others. You can be the underdog and win, if you prepare with purpose. Intend to win. Prepare to win. Most of the time we know what it takes to win. With rare exception, you have to earn the right to win. You do this with discipline. Discipline involves doing the right things, at the right time, and in the right way. Committing to discipline is one thing. Practicing discipline is another. Be diligent to your process. Don't make unnecessary exceptions. Fight for what matters, without fail. Push through the tendency to take the easy way. Practice discipline and it greatly increases your odds of success. I've said it before and will say it again: nothing serves you better in your life or your work than confidence. Contrary to popular belief, you are not either born with it or not. Confidence is a developed skill. If you know your talents, you have direction, you prepare yourself to do well, and you show discipline toward achievement... you gain confidence. Practice confidence. Avoid fear, uncertainty and doubt. It doesn't serve you well. Leverage your skills. Study your performance. Do better every time. Believe in your competency. Deserve to win, and feel the confidence that follows. Even the most talented of individuals has setbacks. The best of plans are tested by unexpected circumstances and challenges. To win, you have to learn to persevere. Know it's going to be hard. Do it anyway. Stay the course and adapt when needed. Be tenacious. When you fall, get back up, dust yourself off, and do better the next time. Don't quit when the win matters. Don't let emotion psyche you out. Don't let disappointment stop you in your tracks. Keep going. To be successful in any area of your life, focus matters. There's never a time that focus is optional if you want to succeed. It's complicated, because the kind of focus you need changes over time. The easiest way to think about focus is this. Pay attention to details when the stakes are high and you're preparing for something that matters. Study each detail to maximize the larger result. When the time comes to perform or deliver, change your focus to the big picture. Trust that the focus you've shown all along will take care of the details, and focus instead on delivering. Focus often makes all the difference in your ability to achieve and succeed. The road to success can be long and challenging. It can also be incredibly rewarding. Your best performance always comes from being in a state of flow. Remember why you're committed in the first place - why success matters to you. Stay connected to what you love about what you're doing. And continually hone your craft so success is in reach. When you enjoy the pursuit and you have a solid chance at achievement, you're in flow. You're much more likely to find success every single time. One of the things that fuels success is a strong belief that competition is good. If you want to be great, to win the gold, you have to thrive in competition. Most Olympic athletes are attuned to the 'spirit' of competition. They want to win without question. What sets them apart is that they don't want their competitors to fail. Olympians for the most part respect their competitor's game, and simply commit to perform better. They want their competitors to do well so their win is pure. It's an accomplishment to beat a strong competitor. It's less of an accomplishment to win when someone else fails terribly. Watch your competitors. Use them as motivation. Focus on out-performing them vs. tripping them up. Let them push you to do better. And always, be gracious in both victory and defeat to win over the long haul. If you want to succeed, love what you do and show it. Be gracious. Be grateful. People want to root for you when they connect to who you are, and what you're all about. They'll be drawn to you, and offer you genuine and sustained support. When you have that type of loyal support, you have an advantage over others. You can pull from that supportive energy for that extra push toward the win. Don't ever underestimate the power of authentically sharing your personality, letting others be a part of your desire to succeed, and showing your heart. It can be the difference between standing on the podium and a long trip home. Olympic athletes experience tremendous success before they even walk into the Olympic arena to compete. They are the elite athletes of the world. They commit to be the best. They pursue greatness every day of their lives leading up to the Olympics. The principles they follow to achieve success are applicable far beyond athletic performance. Every one of us is capable of achieving greatness and earning our own gold medal equivalent in life. We simply have to choose to be great at something - anything - and pursue it with clarity. It requires preparation, discipline, confidence, and tenacity. If we focus, and stay in our own best flow, we have a real shot at achievement. To be great means we have to compete. Thankfully, this can be done graciously and respectfully. The more heart we bring to the process, the greater our achievement and our celebration when success is ours. Our pursuits may be a little different than those of the Olympic athletes. They compete in front of millions of people to represent their countries and showcase their competencies. Us? Our audience is different. Our game is different. Our "win" is different. Our path to greatness? Remarkably, not that different.